(TAJ) TajCoin has been in the crypto world since 19th Aug, 2016 and works independently of any monetary authorities. TajCoin, a decentralized digital currency, adopts the Blake2s algorithm along with the proof of work and proof of stake (pow/pos) consensus. To stay up to date with TajCoin, they can be found on Facebook. We don't have any cloud miners listed for TajCoin yet, check back soon! We don't have any exchanges listed for TajCoin yet, check back soon! We don't have any wallets listed for TajCoin yet, check back soon! 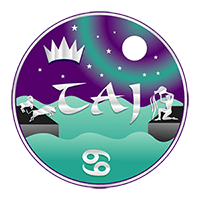 We don't have any debit cards listed for TajCoin (TAJ) yet, check back soon! We don't have any price charts listed for TajCoin yet, check back soon!